WASHINGTON, D.C. (January 17, 2017) – Rock & Roll Hall of Fame member, the legendary Grammy winning Soul Man,Sam Moore has been added to perform during the "'Make America Great Again!' Welcome Celebration" on January 19th to celebrate the newly elected President of the United States of America, Donald J. Trump. After a storied career with Prater, Moore has spent the past 35 years enjoying a long solo career, as well, recording with some of the biggest names in numerous genres of music, including Conway Twitty, with whom he recorded the hit song “Rainy Night in Georgia.” In 1992, Moore was inducted, along with the deceased Prater, into the Rock & Roll Hall of Fame, arguably music’s highest honor, capping a career that included a Grammy, honors from the Vocal Music Hall of Fame, the Grammy Hall of Fame, and the Rhythm and Blues Foundation. Sam was the recipient of the first ever MOBO Living Legends Honor, and he received the AFTRA AMEE Lifetime Achievement Award in 2010 and a NARAS Hero Award in 2003. These days, Moore is still making music. In 2006, he joined Bruce Springsteen, Elvis Costello and The Edge to close out the Grammy telecast with a tribute to longtime friend and fellow Atlantic Records recording artist Wilson Pickett. Moore more recently received a standing ovation for his performances at the Kennedy Center Honors and The Latin Music Songwriters Hall of Fame. Moore’s last album Overnight Sensational, produced by Randy Jackson, included collaborations with friends and fans like Bruce Springsteen, Jon Bon Jovi, Sting, Vince Gill, Travis Tritt, Paul Rodgers, Eric Clapton, Billy Preston, Billy Gibbons, and Wynonna. The album's song "You Are So Beautiful" earned him a Grammy nomination. He has also received the coveted NARAS Heroes Award, been inducted into the GRAMMY Hall of Fame for "Soul Man," earned the ETAM Living Legend Award and received a Pioneer Award from the Rhythm & Blues Foundation and inducted into both the Arizona and Georgia Music Hall of Fames. This past May (2016), Moore was honored with a star on the Nashville Walk of Fame. 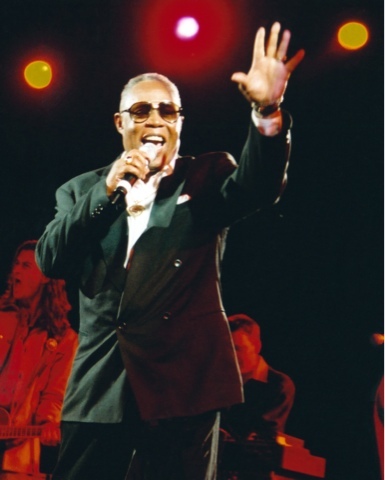 Rolling Stone Magazine named Sam Moore among the Top 100 Greatest Singers of All Time.